Every project needs one of these …. And Prana Writers is fortunate because it has two … maybe more. When you have someone who will say, ‘I can do that!’, whether they’d done it before in their lifetime, or not, and it is done superbly – that’s the Choinski factor. The way the Choinski element operates is that, whether it is the first time through, or they are seasoned professionals, whatever it is they are doing will be done to the highest quality imaginable. In fact , I suspect the way Choinski principle triggers is that the less experience, the more energies are injected – and with incredible outcomes. That’s when you really know it’s the Choinski Factor at play. 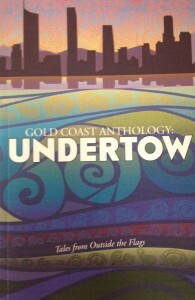 The Choinski factor was brought to Gold Coast Anthology by Penner and Jasmine Choinski. Well it’s done. 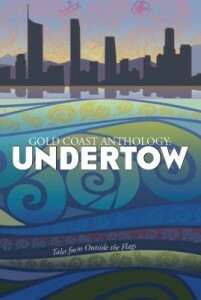 Undertow is launched, and is setting sail. What a fantastic day it was yesterday. The day started with Kerry and I chatting with Peter Scott on ABC radio. Then while I was chairing the panel session at the Local Studies library, Kerry was coordinating the launch venue set up and the launch itself. It’s not customary to ‘lift the veil’ on what it takes to launch a book, but because this is essentially a community project, I thought is was worth relating the extraordinary work that Kerry Gibb put in to bring this together. 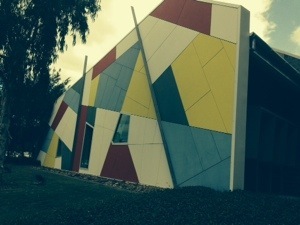 – look for venues – decide on the Community Centre Southport – high standard, new venue. – discover that new home has no internet connection and there is a nine month wait to get one! – arrange for launch cake that will knock the socks off everyone. – twist arms for someone to be MC. – work out running sheet for the day – timing, speakers etc. – work out change needed for cash floats, and go to bank to pick up change. – pick up the most awesome book launch cake in the history of the planet. – send even more emails and Facebook posts. – liaise with speakers and MC. – work with Jasmine to midnight the night before launch getting PayPal app working. – buy soft drinks, ice and launch bits and pieces. – load car with books, food, drinks! AV equipment, most amazing cake, and teenagers – boys almost dressed. – forget to put up banner (specially priority delivered) because Janis got part way through, had to go to panel and left it where no one would find it. – do battle with audio for video and background music, but retire defeated. 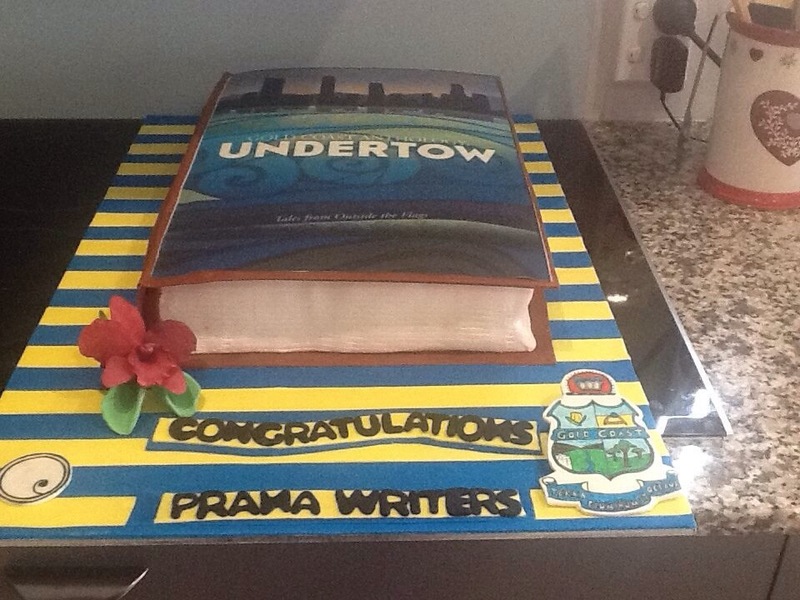 – pack car, squeeze in with leftovers, teenagers, and half demolished most amazing book launch cake. – arrive home and enjoy glass of red, knowing that the most amazing book launch with the most amazing cake had just been delivered. 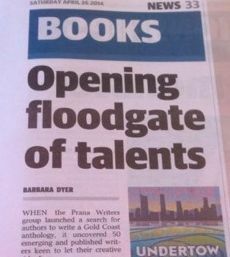 …that’s just to give you an idea of just how amazing Prana Writer Kerry-Lea Gibb is. And because Kerry organised all this, I do not know who else to thank apart from The Choinski Family for supplying ALL the wine for the launch and some of the platters and person power carrying boxes, cleaning, setting up, and clean-up at the end. Nicola for dressing the tables and putting raffle prizes together, Jasmine for handling book sales, Tom for doing an excellent job MCing and all PWs for food and support; Kerry’s kids and their friends for food and drink services as well set up and clean up assistance. Rob Molhoek MP for a great speech and support of the Anth. Alison- for most Amazing Book Launch cake IN THE KNOWN UNIVERSE … MORE ABOUT Alison in her own post. And most importantly, all the authors and guests for making it a wonderful occasion. I think 44 attended the panel session and 70 the launch. All just amazing. Thanks Kerry for organising an unbelievable launch. PS. The great thing about a blog is that all omissions and errors can be readily corrected. But this is the true birth place of the Prana Writers group. 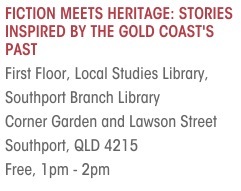 Where we met for the first year with Louise Cusack after winning the Write that book competition run by Gold Coast City Council in 2009. What an impact that’s had on all of us. We were talking last night about our fondness for this place. Twenty sets of images …. I would also like to take this opportunity to thank all those who sent stories in during the subscription period. There were many, many great stories, and unfortunately there could only be twenty in this volume. 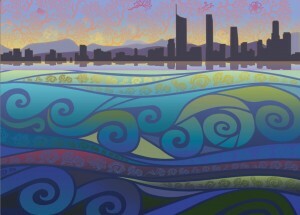 While you are here, did your see the anthology’s great cover art by Shauna O’Meara? Here’s how the front cover looks ..
Sure you want to venture outside the flags? Much has been happening behind the scenes since the anthology editing was completed. 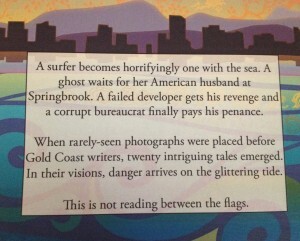 Typesetters have typeset, proofers have proofed – authors have poured over their galleys. We even have a brand new website – you’ll find us at PranaWriters.com. All is ready to go. 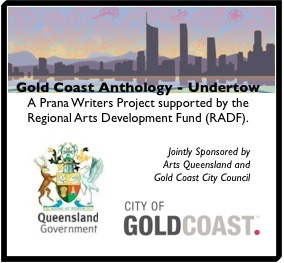 So, we are pleased to announce the title of our wonderful volume – a collection of 20 stories inspired by photos of the Gold Coast …. 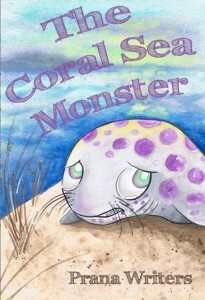 Want to see how it transforms into a book cover?